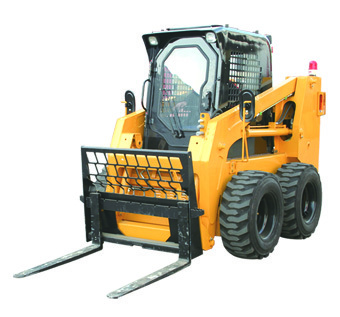 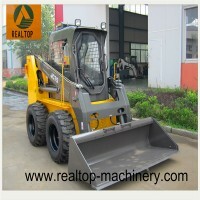 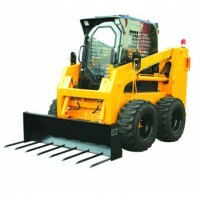 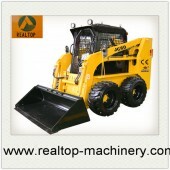 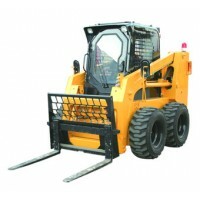 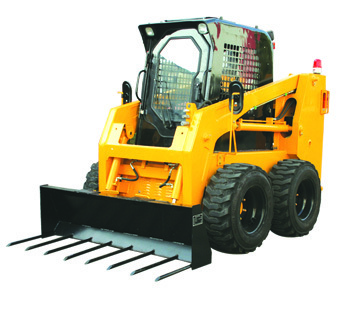 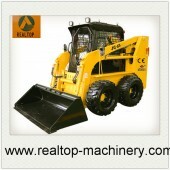 Skid Steer Loader is new advanced construction machinery independently designed and developed by Realtop Heavy Industry Co., Ltd, it is a small rigid frame, engine-powered machine with lift arms used to attach a wide variety of labor-saving tools or attachments, ideal for construction, landscaping, agriculture and other applications. 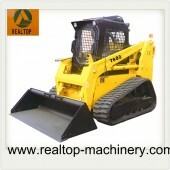 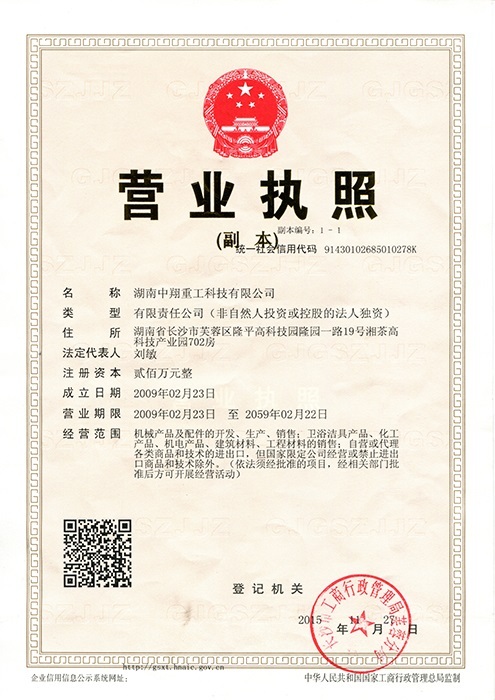 It is kind of multifunctional machinery, compact structured, easy to operate, working flexibly with high-efficiency, could work in narrow spaces, especially fit for public work, city foundation and facility work, gardening and greening work, golf course, narrow streets, military base, underground gallery, storehouse, port, etc. Its conventional bucket can be replaced with a variety of specialized buckets or attachments, many powered by the loader's hydraulic system. 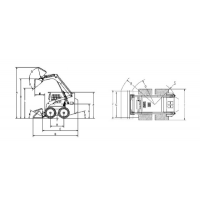 These include backhoe, hydraulic breaker, pallet forks, angle broom, sweeper, auger, mower, snow blower, stump grinder, tree spade, trencher, dumping hopper, etc.